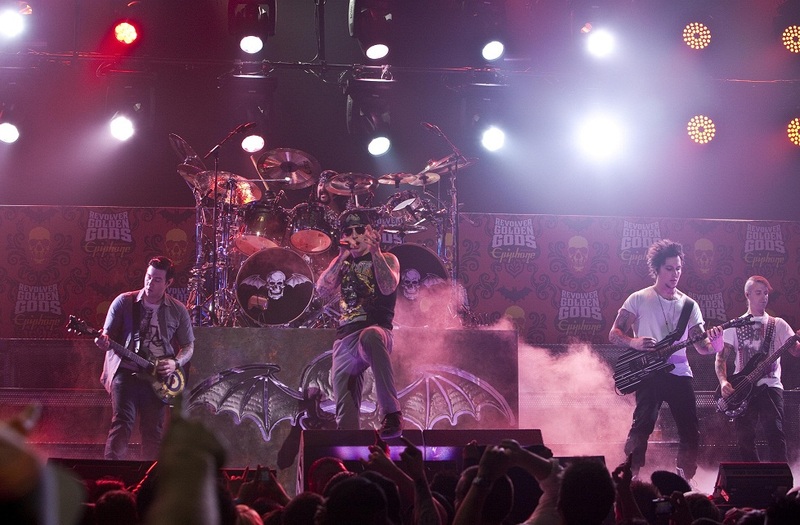 The Californian based heavy metal/hard rock giants, Avenged Sevenfold, have released a new track, along with music video, called The Stage. The track has been released as the first glimpse of music coming from the band’s seventh album. While nothing has been confirmed yet, there have been rumours on the internet that the album could be called Voltaic Oceans and could be released as early as December the 9th. The band themselves have said we will find out more on this on October the 27th, so if you are a fan, keep your eyes out for that. This track, The Stage, has been eagerly awaited by many, many fans and is the first new music from the band since their album Hail to the King came out in 2013. Despite the undeniably large following this band has, I would be deceiving you to say I was a fan myself. I am not. I do like a few tracks, possibly as much as 5 or 6 but that doesn’t account for much across 6 full albums and they do have a fair few haters as well. Weirdly I first appreciated a song, called Afterlife, long after it was released due to the video game Rock Band. It has some great guitar solos in it and was fun to play in that game. The song grew on me and I found a few others I like, mainly when they hit ballad styled music and songs like Seize the Day and So Far Away are ones I think highly of. Unfortunately there have also been a lot of songs I hated, like really hated. I do think I prefer lead singer M. Shadows when he sings softly and I find his voice a little grating on the rockier tracks. I often find with this band that they try to do too much in a song and many of their songs sound like the band don’t know when to stop a track. A lot of experimentation and packing as much into a song as you can could be seen as creative and inventive but to me seems more like over working and sometimes confused. The first thing I noticed about The Stage is that it is 8 minutes and 30 seconds long and that worries me. In regards to packing too much into a track, this could be a prime example. Starting with organs before some great old school sounding guitar tapping solos start the intro proper. Drums join in and the song builds and I must admit, I am quite enjoying it so far. When the first vocals join in at the first verse, things go a bit off for me. Firstly, vocals are drowning out the guitar and bass lines and sound like they need to be turned down a little but Shadows also sounds like he is singing a little higher than normal and I don’t particularly like it. I do like the rhythm the first verse follows though and the drumming is pretty cool. The chorus isn’t though. Avenged Sevenfold are renowned for catchy sing along choruses and this one is dull and uninspired. The problems with singing continue throughout the second verse and chorus and despite the pretty solid guitar lines in the background, they just aren’t loud enough to tie the whole track together. The bit I was excited for comes next, the solos, as lead guitarist Synester Gates is pretty damn talented and he doesn’t disappoint playing an interesting high toned guitar solo that goes on for a while but then, when you have had your fill it jumps straight into an acoustic section with more soloing for a minute or so before then, once again, jumping into an electric solo. This left me confused. I love guitar solos and all three are pretty cool here but by the time the third is played, it feels like the whole song has been lost and you are now listening to a different track. The solos don’t flow well into each other and it feels like 3 solos from different songs rather than one flowing epic. Eventually we have a softer sung bit where M. Shadows voice sounds better before a shorter solo and then the song returns to the chorus from 7 minutes ago and it sounds a bit jumbled. The song comes to an end with a short electric solo followed by an acoustic one again. The video is cool though and is a straight up middle finger to political establishment and their sheep. 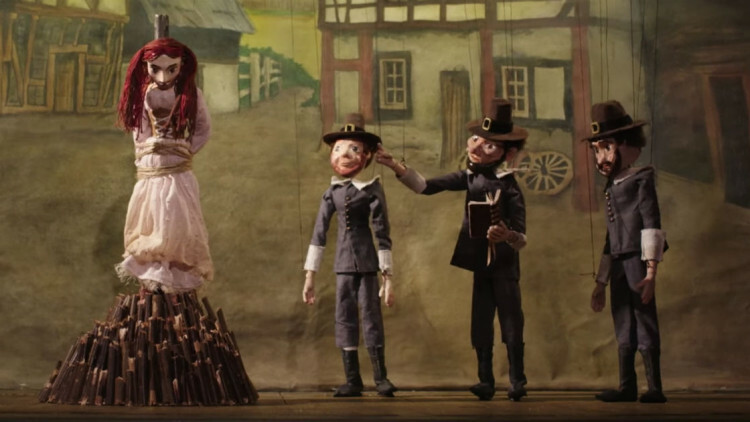 Showing puppets on a stage re-enacting horrible moments from history while a baying crowd cheer on the death and destruction before the crowd, us, are eventually shown to also be puppets controlled by famous political demons such as Angela Merkel. We even get to see a single devilish pair of hands controlling them so there can be now doubt as to how the band feel here and fair play to them for that. So, there you have it. An okay song that showcases some great musical talent, meaningful lyrics but a boring chorus and once again it could do with just being trimmed back a bit. There is way too much going on here, great solos but so many that you lose track of the song and I also hope the final album mix either turns M. Shadow’s microphone down a bit or turns everyone else up because his voice isn’t great. It works for the music the band create but for that, you need to be able to clearly hear that music. One of the biggest bands out there are back. They aren’t everyone’s cup of tea and I doubt this song will appeal to anyone other than those who are already fans but why not give it a try? You may love it, you may hate it or you may not care but you only find that out by trying it. It isn’t for me but I will still check out the album when it is released. You never know, I may get another ballad I like on there. The Stage is also available for download on multiple streaming sites including Apple Music now. Remember, support your metal or lose it!